everyone active in this fascinating industry. journey from the selection of participants until the first copy of this fresh new edition. We would like to thank everyone who has helped us along the way. 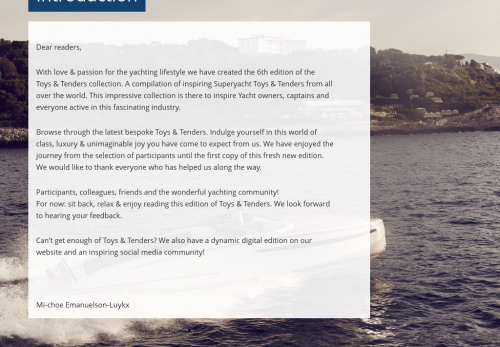 Participants, colleagues, friends and the wonderful yachting community! website and an inspiring social media community!